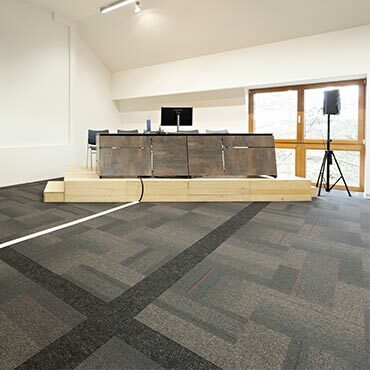 Fusion-bonded carpet is constructed by implanting yarns into a coated backing. The cut pile is produced by slitting two parallel sheets of face-to-face carpet down the middle of the pile. Fusion-bonded carpet is most often die-cut as modules or "tiles" and is usually backed with a polymeric material to provide stability.